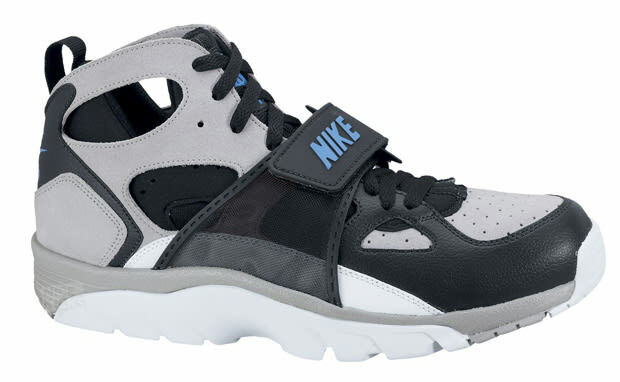 Nike Air Trainer Huarache "Medium Grey/White-Photo Blue"
Over the past year we have seen trainers come back strong, and probably none better than the Huaraches. The classic model uses grey leather and suede with hints of white and photo blue for your aesthetic pleasure. Oh yeah, can’t forget the midfoot strap. The sneaker is perfect for the gym or in the streets. You can grab these now for $100 at Nike. The question is to go strapped or unstrapped?